If you’re looking for an efficient gutter system, here are some reasons you should consider switching from standard to seamless gutters. The extreme weather conditions seen in Texas during August 2017 shocked the world. Images of flooded streets and stranded residents spun around the internet. Experts estimate that the damage bill could top $40 billion. With such weather becoming more common, you may want to consider how to protect your home. You can’t weather-proof it entirely, but you can work towards making it easier to manage with heavy rainfall. Replacing your traditional gutters with seamless gutters is an easy way to install peace of mind. But what other advantages does it have? Read on to discover 7 reasons why you may consider switching to these excellent gutters. Regular guttering comes in a range of lengths. They’re snapped together to fit the size of the house. Sealant plugs the gaps in the seams between the gutters. They’re often fitted as a DIY project since they’re relatively easy to install. Yet the nails they’re attached to can work loose from the boards, leaving gutters hanging away from the house. You don’t get a custom fit with regular gutters. The lines of the guttering are ruined by bulky, unsightly seams. Seamless gutters by their nature can’t come in ‘one size fits all’. They’re made on site according to the specific measurements of your property. Fitted by a trained professional, they’ll have a longer lifespan, improving the curb appeal of your home. They’re also hung in a more robust way, fixing the problem of gutters in freefall. Seams cause problems when the temperature changes. On hot days, metal expands, meaning regular gutters rub against one another. That can allow debris to become trapped in the seams or damage the material of the gutters. On cold days, metal contracts, causing gaps in the seams of regular gutters. Water can spill free, or things can get caught. Even vinyl gutters aren’t immune to temperature changes since they crack when it gets frosty. Weather-related issues don’t affect seamless gutters as the seams are restricted to the joints. That keeps the gutters working more effectively for longer, improving their lifespan and protecting your home. A machine cuts the gutters from a continuous sheet of metal. While there are seams at the ends of joints, you have fewer seams overall. Removing those excess seams improves the look of the gutters. It also means removing potential areas that might leak. Leaking gutters can cause damage to fascia boards or even your home’s foundations. You could expect to pay an average of around $3,900 to fix damage to your foundation. Even the inside of your home can be damaged by leaky gutters. Water can squeeze into your property, which it can cause mold growth and wood rot. By having fewer seams, seamless gutters prevent these leaks and protect your home. Cleaning out the gutters is often a job for the end of fall. Leaves and other debris easily build up and block the rain flow. In the summer, moss or bird’s nests can block the gutters. Any blockages lead to leaks since the gutters can’t direct water to the downpipe, away from the house. They also look unsightly, as grass or debris hangs over the side. Regular gutters cause cleaning issues because you need to ensure nothing is caught in the seams. Things can become trapped where gutters expand and contract in different weather conditions. Even the ridge inside regular gutters can cause water or debris to back up. Seamless gutters don’t have that problem. Simply scoop out the gunk and enjoy clean, fast-flowing gutters. While seamless gutters are easier to clean, you can still install gutter protection. These meshes prevent the build-up of debris, like fallen leaves or moss, that block the flow of water along the gutter. Mesh guards attach to the frame making them easy to install. The meshes even filter out sand so they’re useful if you collect rainwater to use around your garden. The mesh minimizes the need for cleaning, though you will need to periodically clean the gutter protection to ensure it doesn’t get clogged. Having less debris to remove means you don’t need to spend as much time up a ladder. More than 164,000 injuries treated in the emergency room are caused by falling from a ladder. Don’t be one of them. While seamless gutters may initially cost more, they’ll pay for themselves in the long run. They require less maintenance and fewer repairs than traditional gutters. We’ve already mentioned their durability in changing weather conditions and their protection against leaks, causing damage in your home. Preventing this damage means saving on the repair bills to put it right. You also won’t need to replace worn sealant between the sections as there isn’t any to replace. Aluminum gutters are a great choice since the metal doesn’t rust or crack. They’re far more durable and require less of a time investment from you throughout the year. Being made-to-measure ensures a better ‘fit’ for your property. In addition, the gutters come in a range of colors so you can find one that matches the rest of your home. You can ditch unsightly, ugly sectional gutters in favor of simple, elegant aluminum that almost floats along the roof line. They’ll blend in with the soffit and fascia, boosting your curb appeal. While you may not be planning on selling your home now, increasing its value is never a bad thing. These gutters also look more ‘uniform’ in appearance than sectional guttering, which can sag or crack where debris builds up. They offer so many advantages over traditional sectional guttering. If you’re interested in replacing your existing setup with seamless gutters, please contact ASAP Roofing Nacogdoches today or find us on Facebook – ASAP Roofing Nacogdoches. 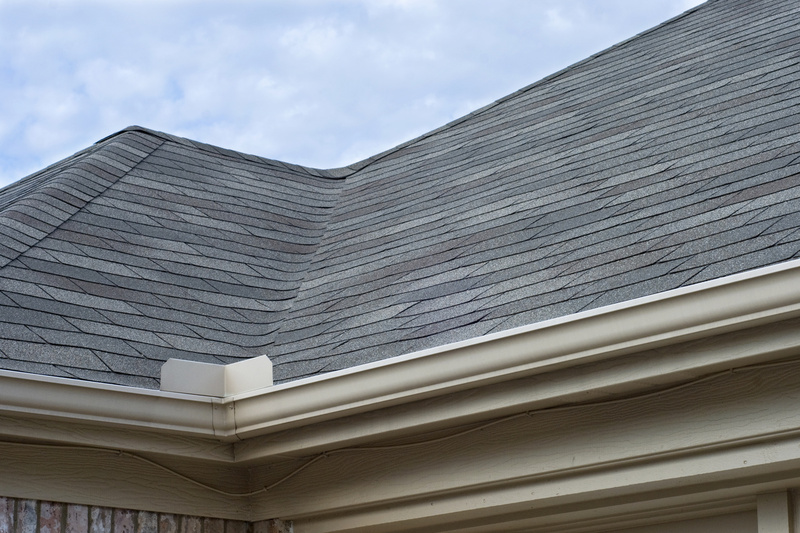 You can also enjoy a free roofing inspection to highlight any issues before they become problems.